Vermont Edition continues a series of one-on-one interviews with candidates for statewide office with Congressman Peter Welch. 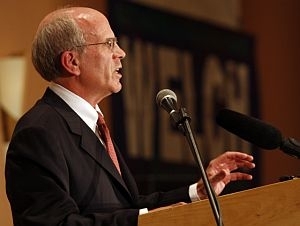 Late last week, Welch voted for a revised $700 billion dollar bailout plan. He talks with VPR’s Bob Kinzel about why, and what steps he thinks are needed to restore consumer confidence in the national economy.